That’s why we’ve decided to start Cosplay Convo – Exclusive interviews with models from our team of cosplayers, talking about their experiences in cosplay, why they continue to work with CSC, and more. This edition of Cosplay Convo from Costume SuperCenter is with Marie Kovacs, who recently took Costume SuperCenter’s Silk Spectre Costume and created a realistic cosplay of the leading lady from Watchmen. In this interview, Kovacs tells us what modifications she made, not only to her costume, but also to herself, in order to channel her inner Spectre, and why exactly this character is one that speaks to her. To read more about Toxic Girl, what attracts her most to cosplay, and why she’s going to keep giving her fans new twists on their favorite characters, check out this edition of Cosplay Convo from Costume SuperCenter. 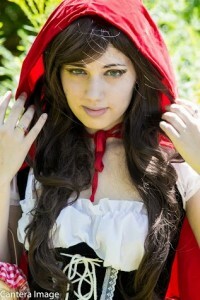 This week’s Cosplay Convo from Costume SuperCenter is with Avalon Cosplay, who added to her collection of cosplays with CSC’s Little Red Riding Hood costume! Avalon took Costume SuperCenter’s full retail Little Red Riding Hood costume, and put her own spin on the popular character in her shoot with help from her friends at Cantera Image. 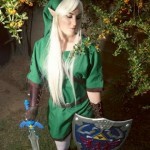 To learn more about Avalon Cosplay, in her own words, and fun facts like why she decided to work with Costume SuperCenter, her favorite cosplays, and what she loves most about the hobby, check out this week’s edition of Cosplay Convo from Costume SuperCenter. 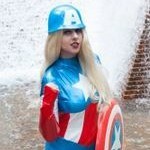 This edition of Cosplay Convo from Costume SuperCenter is with a talented cosplayer and makeup artist who always finds ways to make you wonder if the world’s most hated villains are really all that bad – Linz Stanley. After doing incredible jobs portraying characters like Disney’s Maleficent, and the Blood Elf Princess from World of Warcraft, Stanley decided to get a little less serious donning CSC’s Funny Lady Villain costume and the makeup of the Clown Prince of Crime, Gotham’s own, The Joker. To read more about Linz, what excites her most about cosplay, and why she’s going to keep giving her fans new twists on their favorite characters, check out CSC’s Halloween edition of Cosplay Convo from Costume SuperCenter.